New York : Vintage Books, 1983, c1982. I'm not a huge film buff, but I do like "The Seven Samurai" and I know the influence this man had on George Lucas and Steven Spielberg. 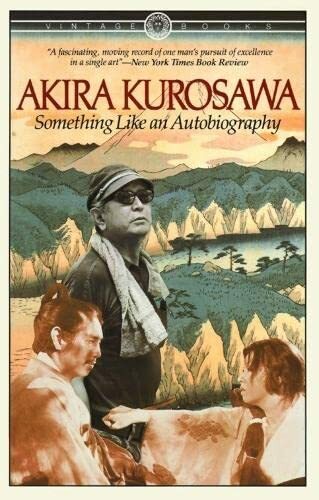 This autobiography does not extend beyond the release of Rashomon in 1950, although there are brief glimpses of moments beyond that up to 1983. The first half of the book is devoted to Kurosawa's childhood and education. Japan's is a culture entirely foreign to my own but I could easily relate to the early lessons he learned about parents, siblings, bullies, teachers good and bad, self-confidence, success and failure, and the odd role that chance plays in one's life. Aimless in his youth, all of his varied artistic interests conspired to make him a powerful film director, a line of work he almost accidentally stumbled into.